The Catania prosecutor's office has declared that the NGO ship Sea Watch did not commit a crime in taking a route to Italy. However, it said the ship is "technically unsuitable" for performing migrant rescues at sea. The prosecutor's office in Catania, Italy, has declared that the NGO ship Sea Watch did not commit any criminal acts "during the rescue phase" when it saved 47 migrants at sea, nor in its choice to "head towards Sicily for adverse weather conditions." However, it said there are "significant facts regarding the ship's technical and structural unsuitability for undertaking a systematic activity of rescue at sea". 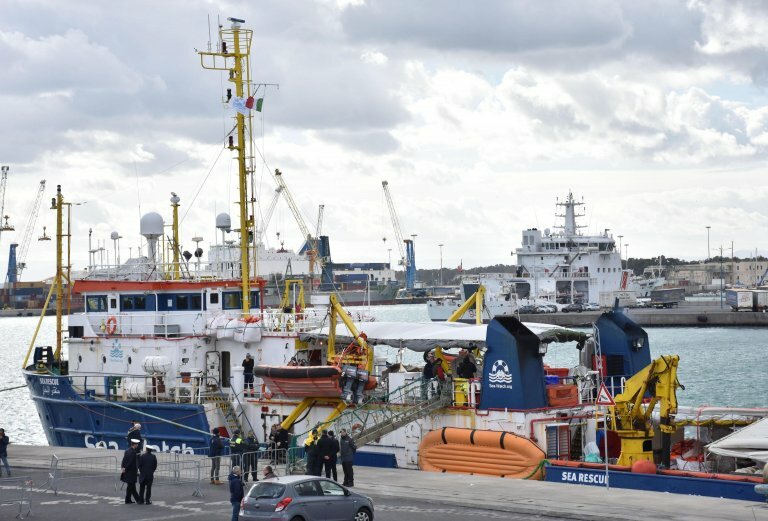 Prosecutor Carmelo Zuccaro said his office has opened a probe into the German NGO ship bearing a Netherlands flag regarding its disembarkation two days ago in the port of Catania. He said at the moment there are no subjects under investigation but the charge is association to commit a crime to facilitate illegal immigration, aimed at Libyan human traffickers or other smugglers. Meanwhile, however, the probe into the rescue at sea "did not reveal any criminal conduct by the directors of the NGO ship." The prosecutor's office did not issue a seizure request for the ship, as had been proposed or feared by some when Catania was indicated as the port of disembarkation. The Sea Watch had been at sea for 13 days with 47 migrants aboard, and had been anchored for five days off the coast of Syracuse. Inspections by the Rome police's Central Operational Service (SCO), the Catania police, the finance police, and the coast guard led to the investigation by the Catania prosecutor's office, where the prosecutor did not find evidence to support claims made by Interior Minister Matteo Salvini of "irregularities" on the part of the NGO. "It is my understanding that there are several elements of irregularity with the Sea Watch," Salvini said. "With a storm at sea, instead of going to Tunisia they went to Italy," he said. However, in its reconstruction of events surrounding the rescue at sea and the anchoring off the coast of Sicily, the prosecutor's office found no evidence of criminal activity. Zuccaro said the rescues were legal because "the rubber dinghy was at risk of sinking" and in the rescue zone "no Libyan patrol boat had intervened for two days". He said the decision not to dock in Tunisia "was a justified choice" due to the bad weather and past refusals by the North African country to allow NGO ships to access its ports, even for refueling. The prosecutor's office did make an informal charge against the NGO, however: "Coast guard checks brought to light significant facts regarding the technical and structural unsuitability of the Sea Watch to carry out a systematic activity of migrant rescues at sea." The Sea Watch said the prosecutor's decision is "not a victory" because "there shouldn't be this type of fury against those who try to fill a gap, saving human lives." For the NGO there is the confirmation of the absence at sea of Libyan patrol boats, and that "despite the immense deterrence effort, Italian waters and ports are not closed." Regarding the suitability for rescue, the NGO said that "during a rescue operation you don't leave people at sea when there are no suitable assets in place to do so."